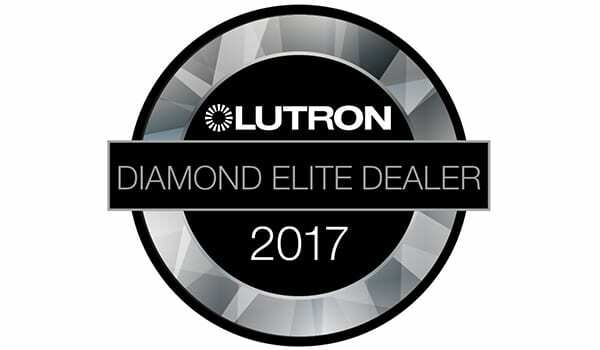 We are proud to announce that we have once again earned Diamond Elite Dealer status with Lutron based on our 2017 numbers! A Diamond Elite dealer has to spend over $750K with Lutron in a given year. Spending that much with Lutron also requires us to be extremely proficient with all the many Lutron offerings from everything from the Caseta product to Homeworks QS lighting to the newest Palladiom shades. Thank you to the many builders and architects we work with and, of course, our clients that helped get us to where we are!